"Renounce violence": That sounds positive — but why do only Muslims have to do it? 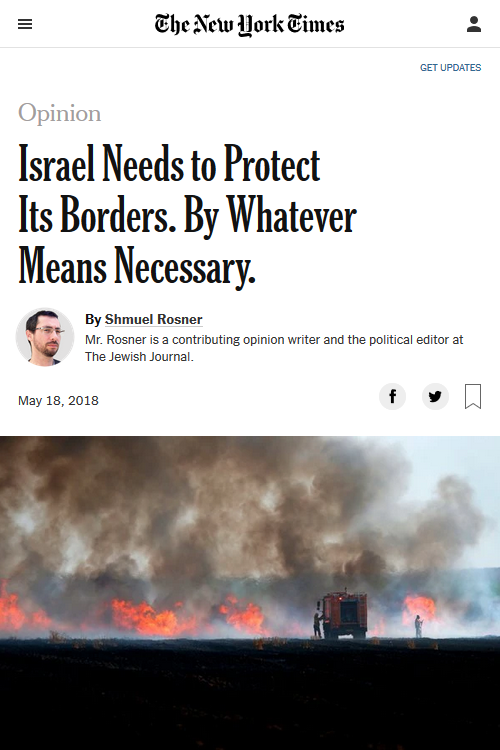 Almost half — 48 percent — of the instances of “renounce violence” in the New York Times during the time period asserted that Palestinians “refused” to “renounce violence.” This was typically signaled with an umbrella label of “Hamas,” with varying degrees of specificity. Roughly a third of those said to not “renounce” violence were either Afghan or Iraqi insurgency groups fighting American military occupation. Thus, roughly 80 percent of the time, the term was evoked to describe people under military control of Israel or the U.S. The complete list can be viewed here. The New York Times was selected as the focus of the study due to its position as the U.S.’ most influential newspaper. 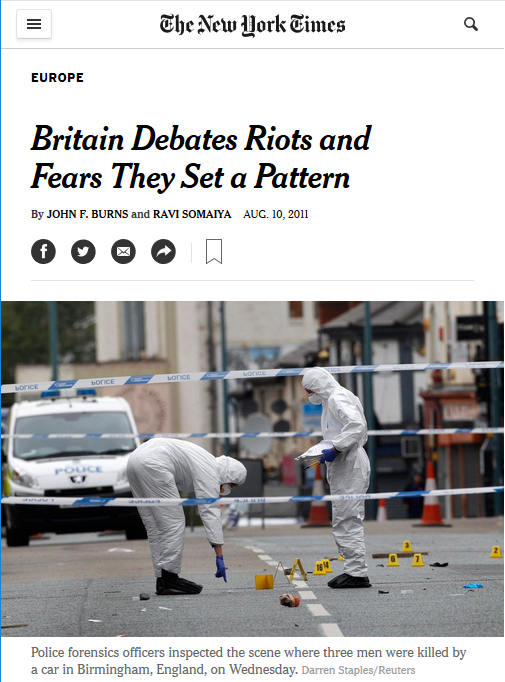 It’s not clear why no reporters, columnists or experts quoted ever felt the need to ask the White House or the Pentagon, or any of their friendly allies in Britain, Israel, Saudi Arabia or Turkey, if they would “renounce violence.” The expectation that a party should refuse to engage in armed activity as a means of exerting political influence was almost exclusively reserved for those under military occupation from Western forces or their Middle Eastern allies. “In sharp contrast to Dr. King, Mr. Mandela continues to call for an ‘armed struggle,'” a 1990 New York Times op-ed (6/21/90) complained. Before the time frame of the survey, South African leader Nelson Mandela was often scolded in the Times opinion pages for refusing to unilaterally reject violence. “Why Won’t Mandela Renounce Violence?” asked a June 21, 1990, op-ed by congressional aide David G. Sanders. There’s no evidence in the Times archives that South Africa’s apartheid government was ever asked the same question. For decades, Amnesty International infamously refused to label Mandela a "prisoner of conscience" because he wouldn’t formally pledge to refrain from violence — a rather precious, morally boutique demand Amnesty requires of all of its Third World causes. In the Western liberal mind, we can name oppressors, but never support those actually fighting them, instead demanding the oppressed unilaterally refuse the single most ubiquitous political tool in history — that of violence. There are also instances prior to the survey period of the phrase being applied to white people — when they were also under Western occupation. From the 1970s to the 1990s, the Times made several mentions of Irish resistance fighters under the British occupation of Northern Ireland “refusing to renounce violence.” In this context, as well, there was no mention of Britain’s refusal to do so. Hamas is regularly said, almost as if this is required by the Times style guide, to be failing this arbitrary moral test. Pro-Israel columnist Roger Cohen has evoked the phrase three times since 2009. The “refusal to denounce violence” box-checking was especially popular with Times Jerusalem chief Jodi Rudoren, who used the cliche five times in 2014 alone in reference to Hamas — the same year Israel’s violence killed 1,500 Palestinian civilians, including 523 children. During that same conflict, “Hamas violence” claimed the lives of six Israeli civilians. At no point in her coverage during this time did Rudoren mention that the IDF had, like Hamas, refused to “renounce violence” — and was exceedingly more efficient at carrying it out. But that’s not really the issue here. The issue is the wholly selective and loaded manner in which this burden is applied. Why should only these groups — Muslim 95 percent of the time — “renounce violence,” but the U.S. and its allies never have to? What makes the West’s arbitrary, violent occupations per se justified, while less sophisticated counter-occupations who refuse to go full Gandhi are committing a profound moral transgression? There is no sense to it, other than serving a lazy, racist rhetorical tic. Ask Muslims to “renounce violence,” by all means, but maybe, at least every now and then, ask non-Muslim militants to do so as well.